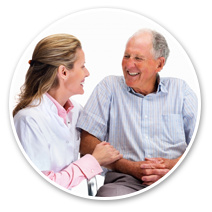 Casa Companion Homecare Solutions: Why Work for Casa Companion? Why Work for Casa Companion Homecare Solutions? Because we are different. Here are at least six ways that we are different from the rest. We are a small locally owned business with big aspirations looking to make an even bigger impact. We aren’t one of the large national or international goliath franchises, and we built this business intentionally that way. We never want to be the biggest, instead we strive to be known for providing the best service, with a reputation for delivering remarkable experiences. We are blessed to live in America’s Finest City, and living in San Diego County affords us the ability to serve a diverse population. As a woman/minority owned business, Casa Companion Homecare Solutions is committed to equally embracing the diverse backgrounds of our clients along with our Companion Specialists through our hiring practices. We are available 24-hours, 7 days of the week, 365 days a year. We pledge that commitment to our clients, and the same assurance is available to our Companion Specialists. Whether it’s an emergency, or to discuss a concern, Casa Companion Homecare Solutions is responsive and supportive to those we consider as a core part of our business. 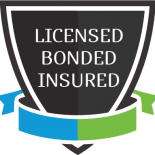 Not only do we provide support through our 24-hour availability, but the company invests heavily to ensure that Companion Specialists (and clients) have protection through bonding and insurance. We modeled our business to have directly hired employees, not independent contractors or to be merely a referral service. Sure, we could save thousands upon thousands of dollars per year to operate under a different model, particularly in California due to the high costs associated with workers compensation insurance, bonding coverage, etc. But we are about doing what’s best and what’s right for our employees and our clients. Rest assured that you are protected. Companion Specialists care for others as their profession, but they also care for their own families and homes outside of work. We recognize that we all have meaningful lives and passions that extend beyond the workplace. We can offer the flexibility in scheduling needed to enable the balance with work and life by offering full-time, part-time, and live-in arrangements. We are a purpose driven company with a higher purpose of connecting back to the people of our community through service, and we promote employees of the Company to share in that effort. Therefore, the company also offers paid time off to full-time employees for volunteering with eligible charitable organizations in the community. Our vision is to bring contentment to those we serve, and that includes a commitment to our employees and their happiness. The formula is simple – engaged employees are satisfied and productive Companion Specialists that creating remarkable experiences and that equals happy clients receiving exceptional service. The Founder of Casa Companion Homecare Solutions was a former Human Resources professional with an SPHR certification and a Master degree in Human Resources. We understand employee engagement and positive organizational development. We strive to have the most engaged employees in homecare by providing career development progression opportunities by availing multiple levels of Companion Specialists and pay, we offer ongoing training to continue to advance skills particularly in specialized areas such personal care and Alzheimer’s and Dementia care training, provide financial and intrinsic rewards, and much more. At the core of engagement is being treated with respect. Companion Specialists will be treated with respect, warmth, and professionalism from internal administrative staff, and we require that our clients do the same. Prior to starting care, clients sign a service agreement and part of that agreement is to subscribe to the respectful treatment of employees including no verbal, written or any other type of harassment. A successful homecare business is built on nurturing relationships, and that starts with our employees.